My author Jack William Jones, born in 1900 in East End London, began writing his memoir post-retirement as a London busman, towards the end of his life. 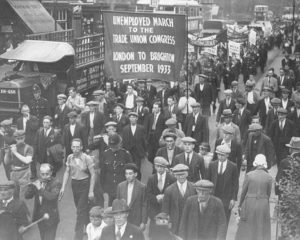 In this untitled memoir, Jones discusses the history of the London bus section over a period of 15 years and gives us an insight into the class struggle of the thirties, his personal background and details of the London Trade Movement. Jack, in comparison to the extensive political detail we are provided with, does not give us too much detail of his family background and childhood. However, he does tell us briefly of the decline of his family, how they went from a comfortable working class stature, to struggling to afford to live after the failures and eventual death of his father due to alcoholism. Jack describes the hardworking nature of his mother to keep her family fed, despite horrible conditions and literally heavy workloads. From a young age he begins to be angered by the conditions of the working class and dedicates his life to making a change to this. However, based mostly in his adult life, his memoir shows why London busmen were considered a militant section of the trade movement and takes us systematically through Jack’s political journey and the difficulties faced by not only the working class, but also women, throughout the years of seeking equality. 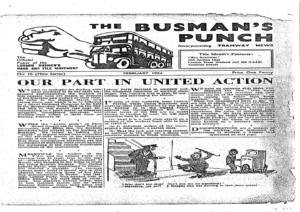 The Communist Party, the political party that my author was affiliated to, recruited in a few garages around the city, and its monthly duplicated paper, The Busman’s Punch, known as ‘the rank and file paper’  grew rapidly from 1,500 to 8,000 copies. Consecutive monthly editions of this paper from 1934 and 1935 are included as part of Jones’s memoir, highlighting to us the significance of the movement to his daily life. 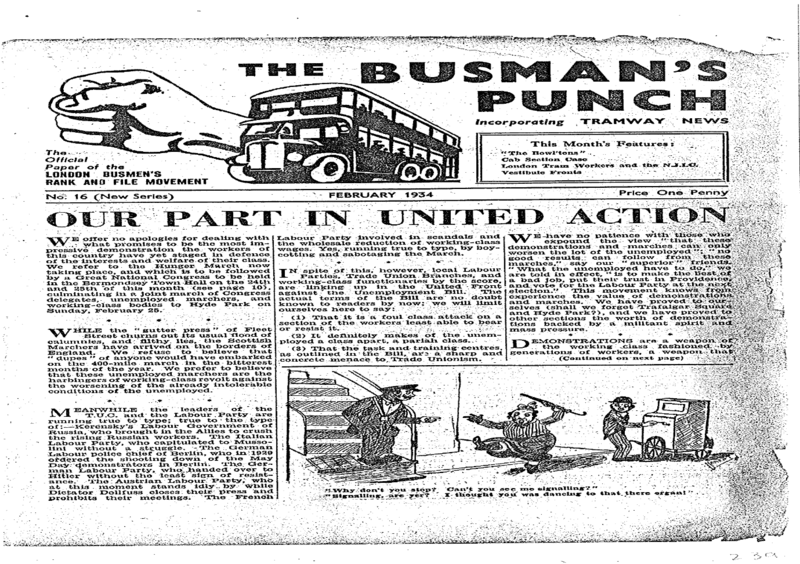 The inclusion of these papers also demonstrates the importance of The Busman’s Punch in the drive and support of the union. However, it stopped production in 1937 when the bus workers were defeated in the Coronation strike. The Coronation strike was one of the most famous of the busman strikes because it took place at midnight of the day of the coronation of King George VI and fears that the strike would cause disruptions to the celebrations caused havoc throughout London. The memoir as a whole has a light hearted tone and contains humorous remarks on class and political issues. As well as the descriptions of their misfortune of ‘poverty, dirt and violence’  , Jones also describes the pleasantries of his life growing up in the city, and some childhood memories. 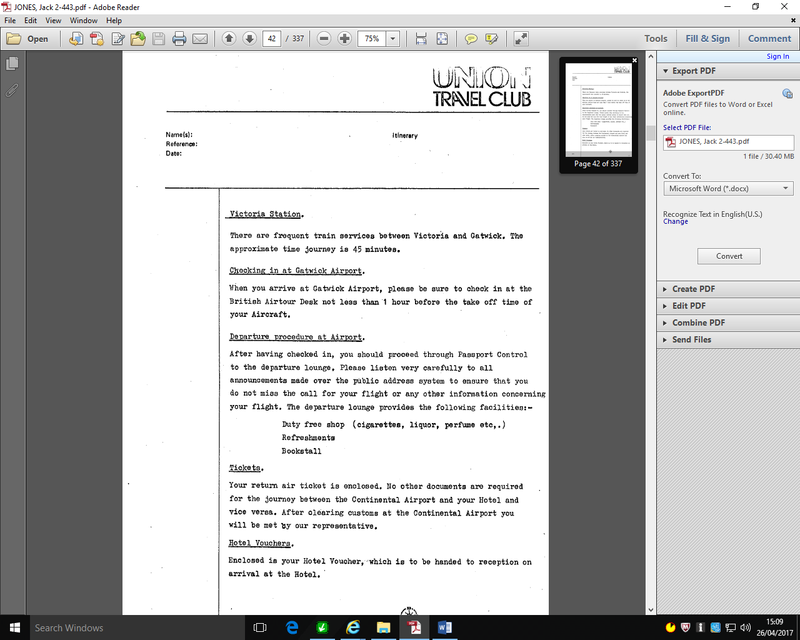 He provides us with details and documents from some of the travelling he embarks on (right image) He tells us of how he and his friends begged the first class guests to the theatre for their programmes to sell to the second class and make the money to go and see the shows themselves in ‘the brit’ as he called it. He makes his life out to be a very interesting read. Eaden, J. and Renton, D. (2002). The Communist Party of Great Britain since 1920. 1st ed. Houndmills, Basingstoke, Hampshire: Palgrave. Jack William Jones, Untitled, 2:443 TS, chapters paginated separately. 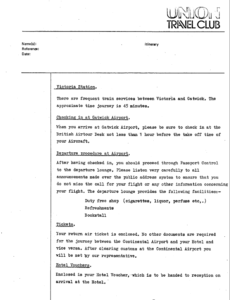 Extract published in Childhood Memories, recorded by some Socialist Men and Women in their later years, edited with an introduction by Margaret Cohen, Marion and Hymie Fagan, Duplicated typescript, pp.60-8. BruneI University Library.